"Peter has the capability of playing with the hits and breaks of the music without ever interrupting the follower. His spontaneous choreography during partner work is literally "One with the Music". Peter becomes the artist's brush, palette, and frame, painting the beautiful picture with his movements and direction. His leading technique and style is astounding." Peter has been teaching styling, partnerwork and musicality at several congresses, among others at the Salsa Festival Regensburg and Bremen, Summer Salsa Festival Brussels. He has been teaching intensive workshops in Hungary, Germany, Romania. Dorota and Peter teach together in Munich, and do performances with their new show. Dorota has more than 18 years of international dance experience. She studied ballet, modern dance, jazz, flamenco and folk dances both in Poland and in the United States. There she received "Diploma with Honors" from the Washington School of Ballet. Her journey through the world of salsa started 4 years ago in Germany. Since then, she has attended many international salsa congresses gathering knowledge and experience. This is just the beginning of her journey, but she already taught at many workshops in Germany and just recently in Hungary. Peter is proud to work together with Edie, the Salsa Freak. Edie and Peter teaches workshops together at congresses and boot-camps, all around the world. They created two instructional salsa DVDs, Fige's Figures and Musicality Moves. Edie, The Salsa FREAK is one of the most sought after instructor / performers in the world. She has traveled to over 50 countries teaching the world to dance, and has been the first American to teach in 18 of those countries. She is currently on world tour, taking the world by storm with her powerful dance style, precision, and amazing speed. Edie was recently awarded the International Lifetime Achievement Award at the International UK Salsa Congress in England and voted by her peers and students, Best International Instructor at the Los Angeles Congress, British International Salsa Festival (two years running), and Switzerland Congress in Zurich. She was the Guest of Honor at the Curacao Salsa Festival and the First Annual Swiss Congress. She has taken first place in numerous dance competitions, notably the famous Mayan competition out of Los Angeles, California, and the International Salsa and Hustle Pro Salsa Championships in Miami, Florida. Edie's passion is to share her talents with both students and audiences throughout the world with her teaching talents, stunning performances, instructional DVDs, and down-to-earth Internet advice columns and stories. Marion and Peter have been working together since 2003. 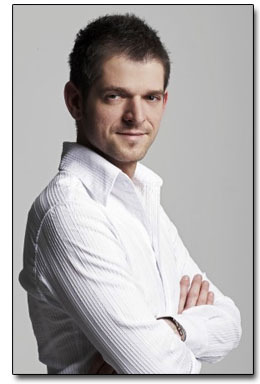 Peter teaches all his courses in Munich in the dance school Salsa Y Corazon. They have been teaching together at several congresses and workshops. Marion Morena is teaching salsa professionally since 1989. Her dance school became one of the biggest schools in Munich in the last years. She also has dance education in Flamenco and Tango Argentino. She was teaching and performing at several international salsa congresses.